There is little doubt that this is true. What was once a day for small parades and the wearing of shamrock has now become totally commercialised. Ministers fly to all parts of the globe, and especially to America, to promote Irish business. The parades themselves have degenerated into a feast of greenery and professional parade organisers, especially in Dublin. RTE does not even try to hide the commercial aspect and trumpets the fact that St Patrick’s Day gives access to the American president and other political leaders for Irish business. St Patrick has become lost in this fog of green. In view of the diminution of St Patrick, it is appropriate that Roy Flechner, a lecturer in mediaeval history at UCD, has produced an excellent book, Saint Patrick Retold: The Legend and History of Ireland’s Patron Saint. Flechner dissects the mythology surrounding Patrick on the grounds of his own writings and other evidence from Roman writers. In brief, Patrick was from a Romano-British family. He grew up at a time when the Romans were withdrawing from Britain. It is highly likely, according to Flechner, that he fled to Ireland, and that the story of being kidnapped by Irish pirates and held in slavery may have been invented to illustrate his struggle in becoming a committed Christian. When Patrick returned the second time Flechner reckons that he had a source of wealth that enabled him to give gifts. It is even possible that he brought slaves and used these as gifts. 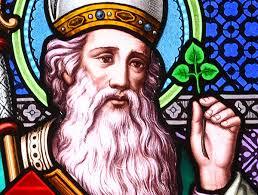 Patrick did not bring Christianity to Ireland. There were other Christians before him, such as Declan. Nor is there any evidence that he was ever consecrated a bishop. 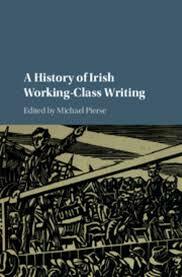 He mainly operated around Ulster and Leinster, and his subsequent prominence probably had more to do with the O’Neills trying to establish their claim to the high-kingship of Ireland. It is not known exactly what type of belief system existed before Christianity, or how the latter was able to take hold. Patrick does not mention druids, or whether there was an organised religious group before Christianity. Julius Caesar, in his Commentaries on the Gallic War, said the druids studied for more than seven years and memorised everything. Nothing was written. This was the great gift that Christianity brought: writing. The Christian scribes recorded the Irish myths and sagas, and the earliest Irish histories, and also went to Continental Europe to introduce learning and Christianity. Engels regarded the early Christians as being like communists. The same could be said for the Irish missionaries, who risked life and limb to spread Christianity and learning throughout Europe. Before Patrick, Declan and the other Christians began spreading the new religion it is obvious that the priest caste that preceded them had developed a sophisticated belief system. It is likely that the sun was a major part of the religion. They managed to work out accurately when the various solstices took place. All the major feast days took place at the time of significant events in the solar calendar. The fact that St Patrick’s Day is the 17th of March is probably connected to this. For an agricultural society, being able to predict the beginning of winter, summer or even mid-winter was fundamental for survival. If a priest caste kept this knowledge secret, or surrounded it with mumbo-jumbo that only they knew, it gave them power. This was especially so if all knowledge was memorised. Christianity, by merging feast days with local custom and tradition, would have democratised knowledge of the weather system. By merging and adopting local practices it did not set itself in direct opposition but at the same time undermined the local priest caste of druids. Furthermore, through the introduction of writing and recording things, knowledge could be transmitted rather than be the preserve of the few. A final significant event in Patrick’s case was his attack on Coroticus. The latter was a Scottish Christian king who had killed and enslaved Christians. Patrick denounced and excommunicated him. The fact that he was able to do this without being dealt the same fate suggests that he had a certain status in what was a very class-conscious society. Patrick said that although Coroticus and his men regarded themselves as Christians, they were nothing more than pagans. In fact in the afterlife the slaves would sit with Christ in judgement on them. This was a revolutionary message at the time to a king. Patrick was telling him he had to behave as a Christian and not just call himself one. The slaves were as good as a king, if not better. Our present-day politicians are little different from Coroticus as they abase themselves before their capitalist god.